Start the year off right! 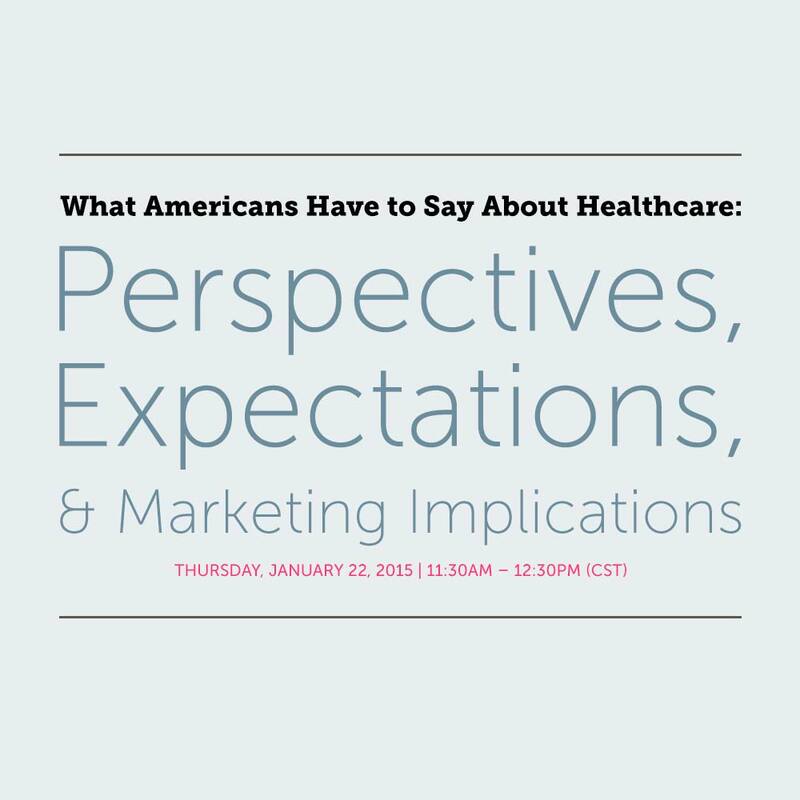 In this Webinar, you’ll hear findings from Klein & Partners latest consumer research on a variety of healthcare topics, as well as expert insights on what those findings mean for your marketing strategy in 2015. Does the average American support your tax exempt status? How are consumers choosing physicians and hospitals? Do they seek out online ratings? How about price information? What do patients and visitors want from their online experience – including the ability to make appointments and communicate with healthcare providers online? How well are their needs being met? Where do consumers look for health information? Are they using smart phones and mobile applications for health, and if so, how? What are their views on retail clinics – and have they used one? Who do they want managing their health and wellness? Don’t miss this lively discussion featuring three veteran healthcare marketing innovators!